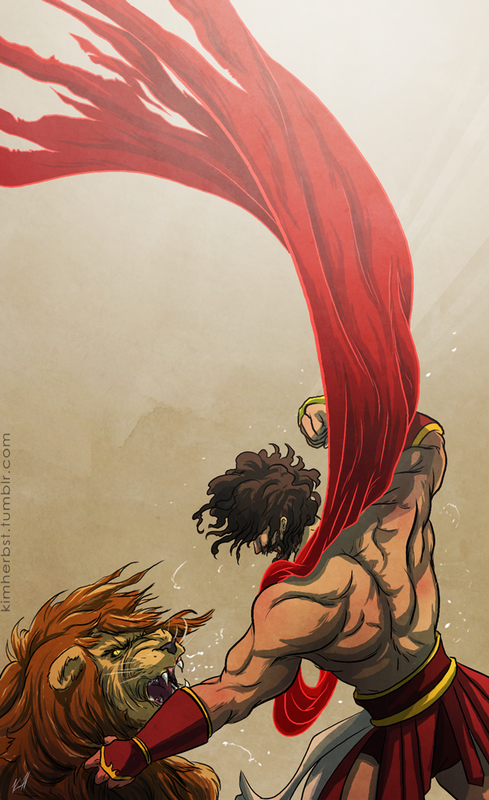 Layin’ the smackdown on the Nemean Lion. Also, if you want a nice summary of Hercules and all his labors, I highly recommend reading through the Better Myths version. Hilarity all around.